Since Valentine’s Day is right around the corner, I thought it would be fun to do a bunch of pink swatches. Pink is my favorite color so I had a blast taking these pictures. 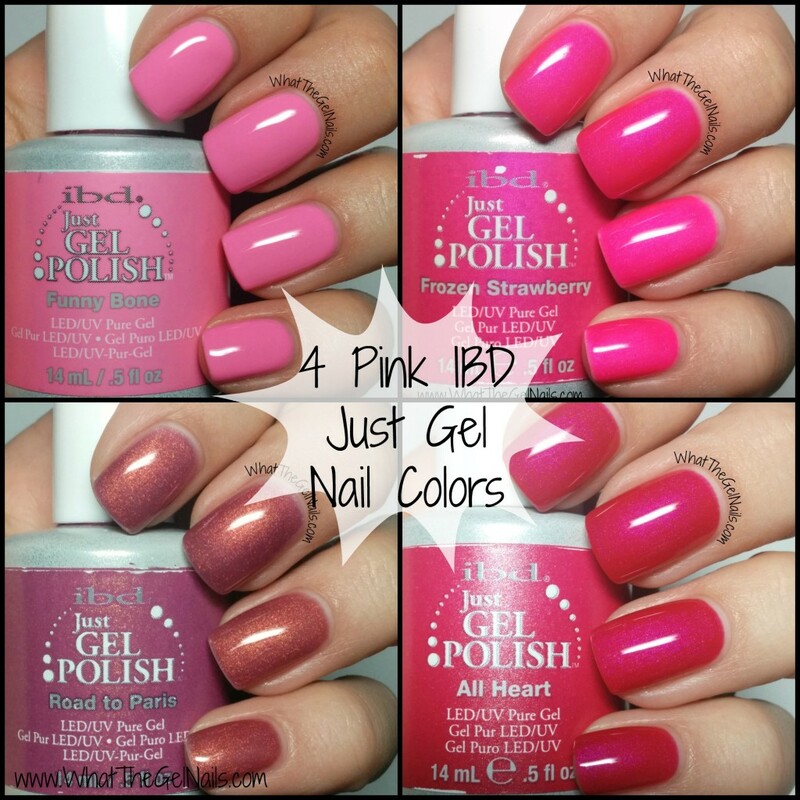 Plus, these (in my humble opinion) are some of the best IBD just gel nail polish colors for Valentine’s Day. 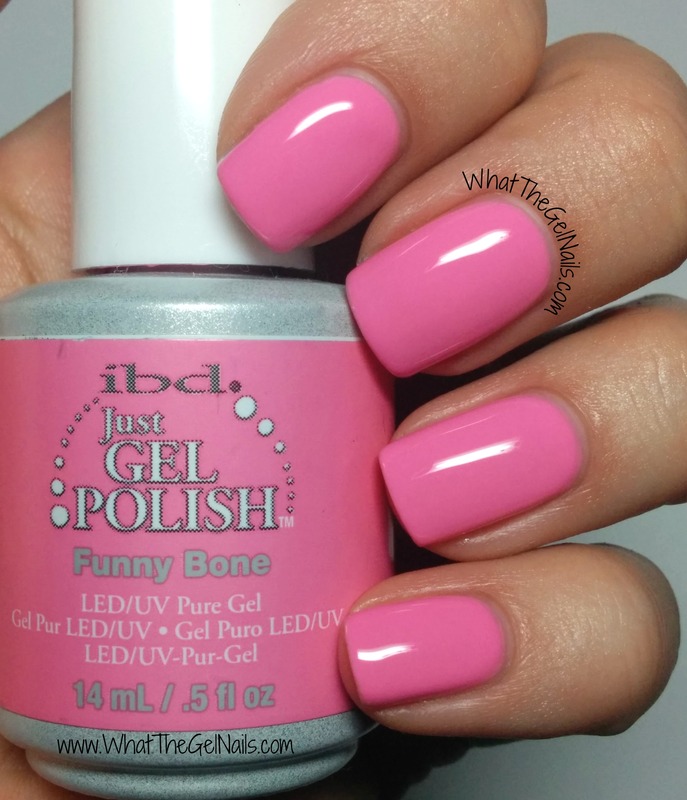 This is my absolute favorite color of nail polish in the world! I have had some variation of it pretty much since I started wearing nail polish. I love IBD Frozen Strawberry so much! 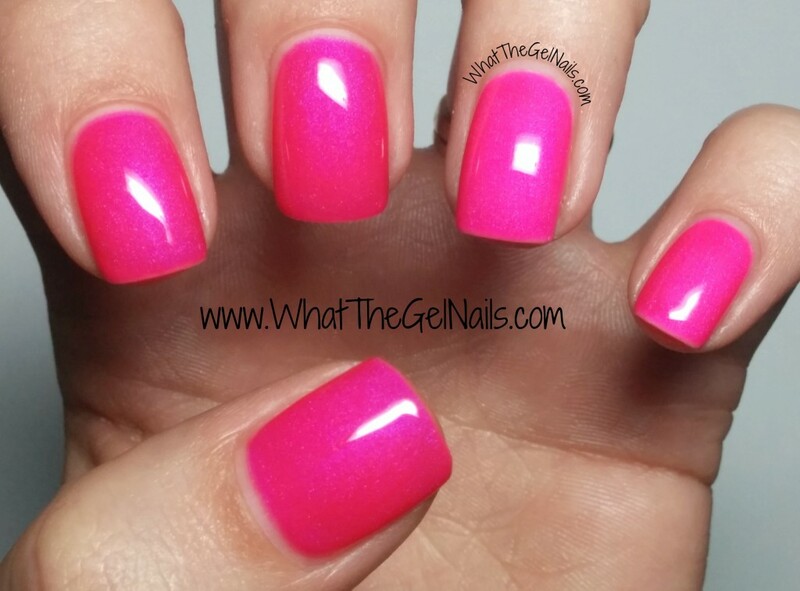 It’s a gorgeous bright hot pink with a blue shimmer. It can also be a neon if you paint 1 coat of white first. In these pictures, I did 1 coat of IBD Whipped Cream, then 3 coats of IBD Frozen Strawberry on my pinky and ring finger. 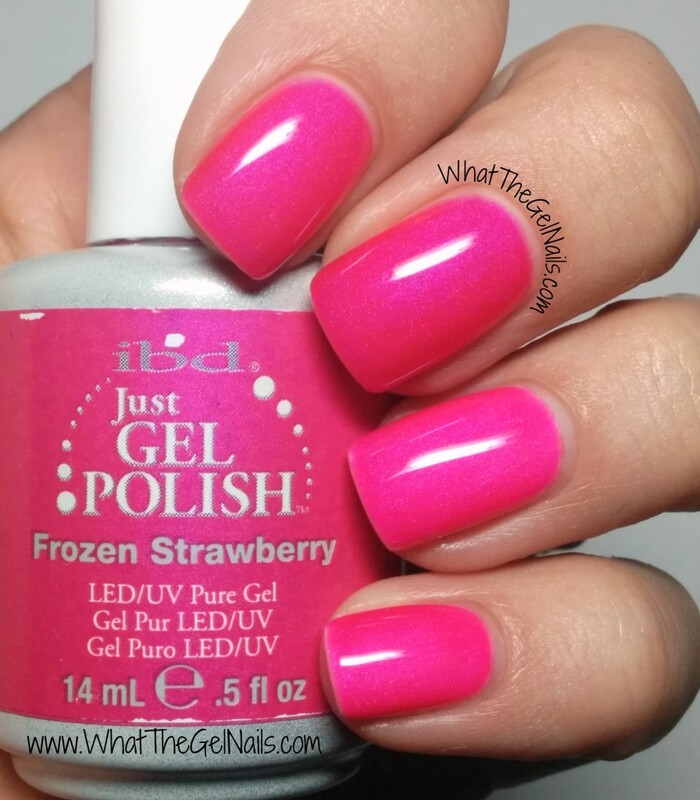 On my middle and pointer fingers I did 4 coats of IBD Frozen Strawberry. This does need 4 coats for full opacity, but the polish is pretty thin so it doesn’t really feel like 4 coats. This color is absolutely gorgeous, but it is one of the very few colors from IBD that fades. It starts as a gorgeous pink with tons of copper shimmer. As it fades, it looks more coppery and less pink. I luckily found that using a different color underneath Road to Paris does stop it from fading. On my pinky and ring finger I have 1 coat IBD Mocha Pink and 2 coats IBD Road to Paris. You can see that these nails look just slightly more brown than the others. On my middle finger and pointer finger I have 4 coats of IBD Road to Paris. On my thumb I have one coat of IBD Whipped Cream and 3 coats of IBD Road to Paris. This is my personal favorite way to wear Road to Paris, but that’s probably just because it looks so much more pink over the Whipped Cream. 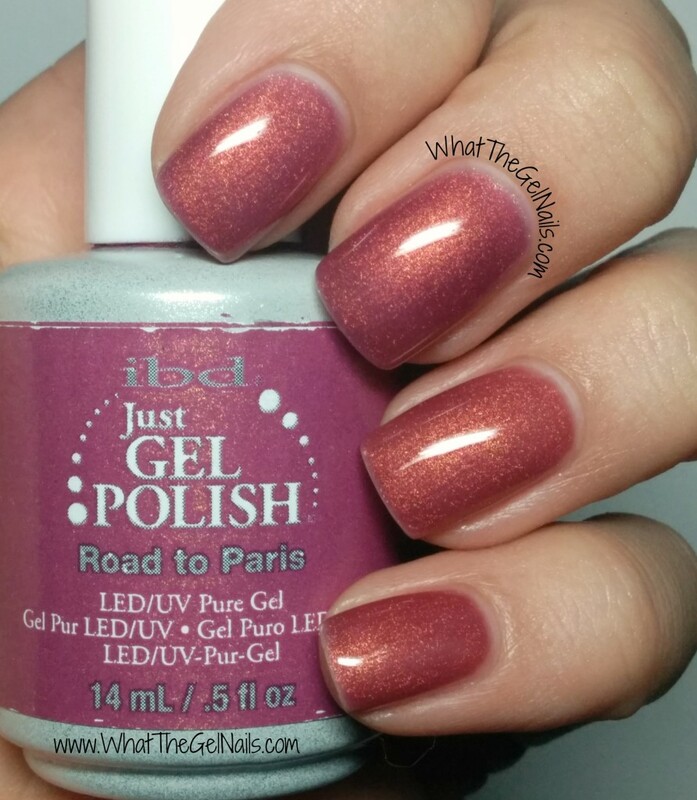 Road to Paris is not super great on its own, but it is fabulous for layering to create a new color. I have used this over several pinks and neutrals to make some gorgeous colors and none of them have faded. I only have an issue with fading when I wear Road to Paris by itself. I’ve said it before and I’ll say it again. IBD knows how to do shimmer. Don’t get me wrong, their creams and glitters are awesome and they even have a few frosts that are great, but their shimmers are just amazing! 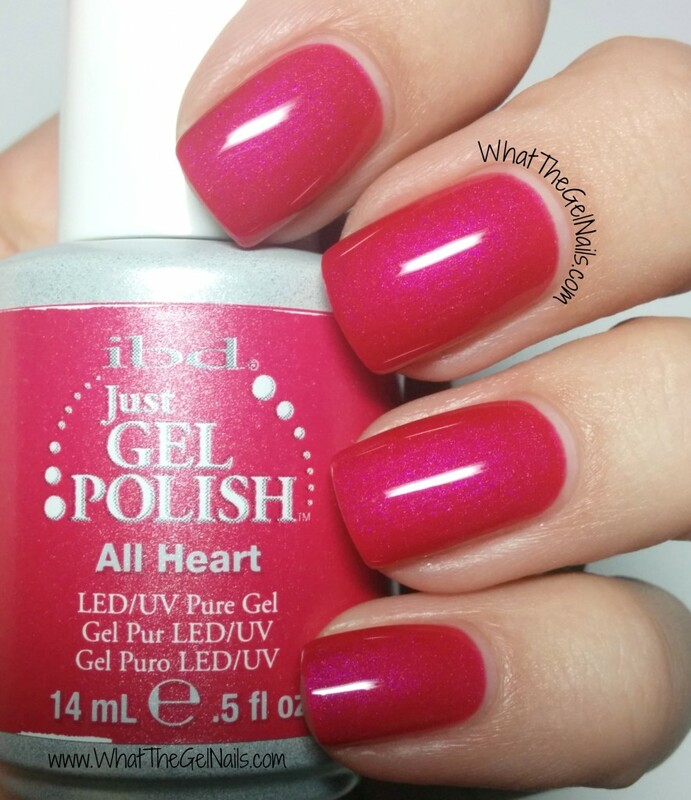 IBD All Heart is definitely one of these amazing shimmers. It’s a dark pink with a lighter pink shimmer. It is does lean toward the red end of the scale, but it is by no means red. It’s definitely pink. This is important for someone like me who looks awful is pretty much every red. This took 2 coats, plus a thin 3rd coat for full coverage. Beautiful colors. I adore your blog name, too! Thanks for all of the IBD swatches. I love this brand, but it is difficult to find good swatches of the colors! Thanks Angie for your kind comments! I had a hard time finding good swatches for IBD, too, so I finally just decided to take the pictures myself. 🙂 Haha!